Now, in the exciting sequel to “Dreams”, the fight continues. Sarah and Sean may have defeated the Scottish Valaya, but the rest of the war still rages on, and Sarah, Sean, Nicholas and their companions must unearth the identity and location of the Enemy – the leader of the demons – before the world plunges into the Time of Demons once more. Their quest leads them to Sarah’s family home, the Midnight mansion in Islay, and there they discover horrible truths about the demon ruler, his plans, and Sarah’s own personal history. 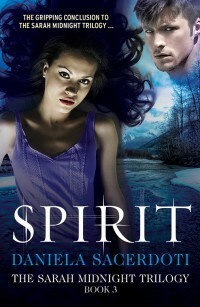 Categories: Fantasy, Romance, Scotland | Tags: Daniela Sacerdoti | Permalink. “You’d never think it could happen to you. You’d never think that one day you’ll stand in a graveyard, rain tapping on a sea of black umbrellas, watching your parents being lowered into the earth, never to come back. It’s happening to me. They said it was an accident. Only I know the truth. Ever since her thirteenth birthday, seventeen-year-old Sarah Midnight’s dreams have been plagued by demons—but unlike most people’s nightmares, Sarah’s come true. Her dreams guide her parents’ hunt as Sarah remains in bed, terrified but safe, sheltered from the true horrors of the Midnight legacy. But all this is about to change. After the murder of her parents, she is cruelly thrust into a secret world of unimaginable danger as she is forced to take up their mission. 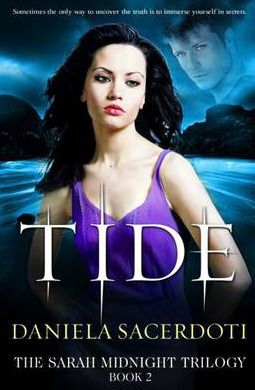 Alone and unprepared for the fight that lies before her, Sarah must learn how to use the powers she’s inherited and decide whom to trust before it’s too late.. 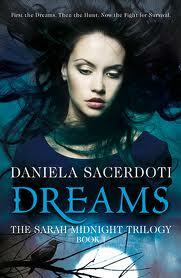 Categories: Fantasy, Thriller | Tags: Daniela Sacerdoti | Permalink.